Three More players for this weeks sketch! Brayered Spotlight and more sketch cards too! Some great cards for this weeks sketch. Baby Frame and More Sketch Players! Sketch Challenge Card 8 cards. Coffee and Flowers what could be better? Man the weeks go faster and faster! I am a tiny bit late with this today because I had to take my son to the dentist. Sorry. This weeks sketch was actually sent to me by one of the players. If you have a sketch you would like me to feature feel free to send it my way, I would love to use it. This one is from Kerry at Three Clover Designs. Thanks Kerry! and here is my first card. I am so close to having another one done too so check back, lol. Wow, didn't they all do a terrific job this week? Great cards ladies. Now if you feel inclined to play along don't forget to leave a comment here on my blog with a link so that I can post it for everyone to check out. Can't wait to see your creation. If you post to SCS please use the key word TSSC11. Isn't this sentiment and lighthouse beautiful! I just got it from a new company called Our Daily Bread that will be specializing in Christian stamps. The scriptures are wonderful. I love it. I tried to keep the card simple to make the scripture the focal point. 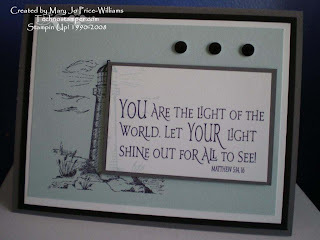 The light house is stamped in Basic Black on Soft Sky and then partially stamped in Soft Sky on Whisper White with the sentiment in Basic Black. Fun technique. You may have to click on the picture to see how cool it looks up close. I will have to play a bit more with this set today, so maybe I will be back soon. Thanks for stopping by today. 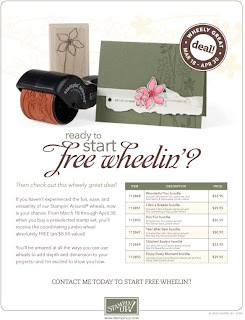 Free Wheeling Special and Another Lunchtime Sketch Challenge! Pretty interesting, I just figured out how to do this! Click on the image to see it bigger. Wow, forty weeks already. Hard to believe. 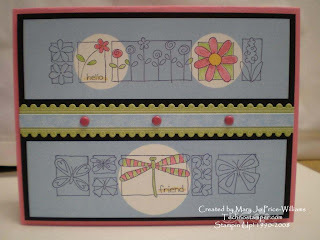 This weeks challenge was a simple one -- spring flowers was the theme. The first flowers I think of when I think of spring are tulips so I knew right away that I was either gonna use my Terrific Tulips or Never-Ending Joy. Since Terrific Tulips is retired I decided to go with the Never-Ending Joy set. 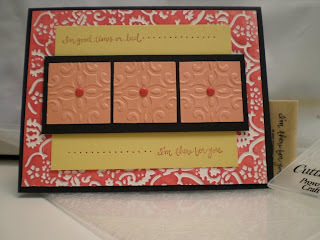 Now I needed more challenges since I have not stamped all week I wanted to make it a bit more of a challenge so I found a color challenge on one of my groups - Bravo Burgundy, Cameo Coral, Certainly Celery and Basic Black for accent. --- hmmm, might as well find a layout challenge too while I am at it! So I went back a week or two and found one I wanted to try back when it came out but I was too swamped. 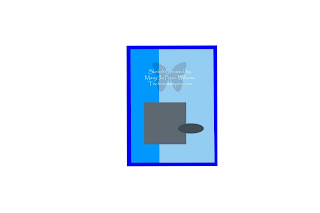 The sketch is from Poetic Artistry and it is number 28. She has wonderful sketches on her blog, so well done, not sloppy like mine, lol. Finally, I thought that this would be ENOUGH challenges to try to combine at one time! I must say that the colors scared me a bit but I am very happy with the results. 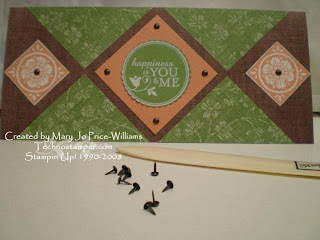 Other, Scallop circle punch, regular circle punch, large scallop oval punch, cuttlebug embossing folder, paper piercer, mat pack, Bravo Burgundy Marker (for thumping on flowers) and faux black brads from JoAnn's. Don't forget to check out the other players by clicking on the logo on the lower right hand side of my blog. Happy Friday to everyone! YIPPEEEEEEEEE! There is still lots of time to get yours done! Can't wait to see it. This month's technique class was Spotlight Three Ways. I don't normally post all the projects from this class since I am not sure how the people who pay for the class would feel about it, but this weeks is so busy and I needed to post something, lol. This is a great technique for this hostess set. 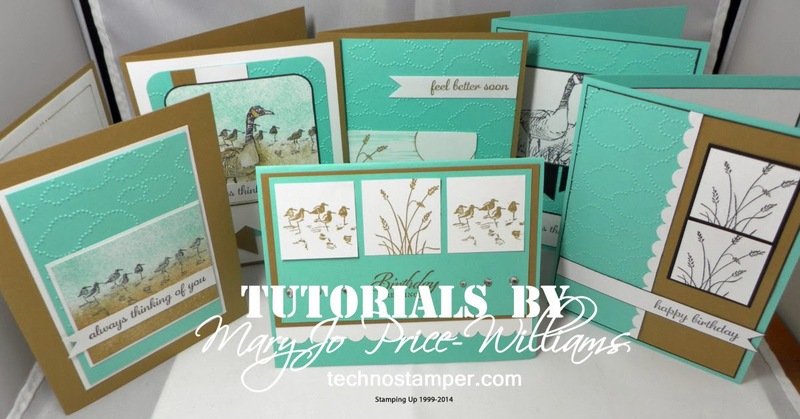 The image is stamped on Whisper White and then the areas that I wanted to highlight (spotlight) were masked off and the rest was brayered in Bashful Blue ink. Now I just had to color in a little bit of the image and not the whole thing. Fun and easy - and really neat looking in person too since there are no layers on the focal image strips. So here is a little about my technique classes. 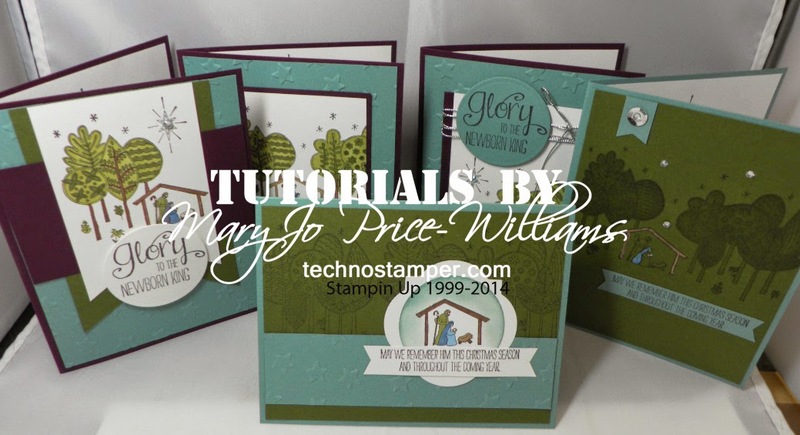 We do them once a month and every one makes a 6 x 6 page to keep in their technique album for future reference and two cards to show and use the technique. It is a fun class. Let me know if you are interested. So what do you think of this week's sketch? Here are some more samples to help inspire you. One more late one for last week, I think I missed this one somehow? Sorry Anita. Where is your's? I can't wait to see it. Here is today's sketch. I think it is a fun one and can't wait to see what you come up with! And here is my card. Pretty simple actually. I did not fill in the front yet because I am not sure of the details. 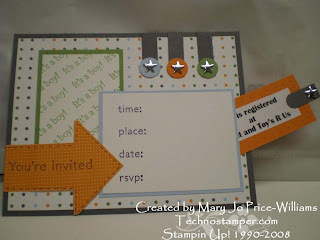 I made this card for a friend who is having a baby shower. And obviously we already know it is a boy! I am so excited for her. Congratulations Sheryl! Now I just need to make a bunch of these if her mom approves of it!. It does not open up it is more like a postcard with a pull out tab. Other: Star faux brads, markers, word window punch, circle punch. Thanks for stopping by to check out the sketch today. I hope you will jump in and join us. Don't forget to leave a message here with a link so I can share it with everyone else. If you upload to SCS please use the key word TSSC10. This was a super fast, but kinda cute gift. 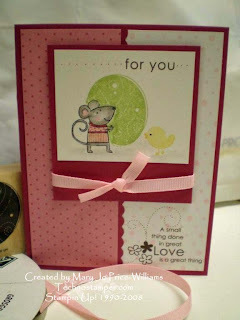 I used the Bundle of Joy set and the Spring Picnic papers. I love the colors and wanted the middle of the frame to really stand out. This $20 frame was on clearance for $2 so not only is is a fast gift but cheap too! Check out these great cards done for this weeks sketch! Happy Easter! He is ALIVE! and living in our hearts! Isn't this the cutest ever! I love it. I used the cherries from the Tart and Tangy set. 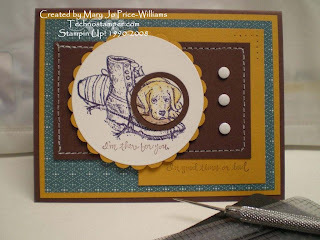 I have to admit this was not my idea, I was inspired by this card by Laura (scrapextras) on SCS. 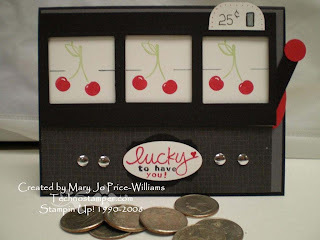 I just made it look like a traditional slot machine with the handle and spot to put your money in. Way too fun! Hope everyone has a terrific Easter. 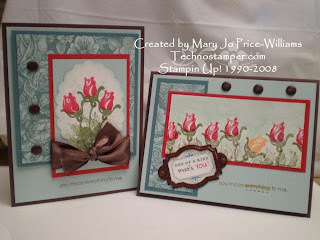 Today's SCS Limited supply challenge was to make two cards using the same stamps and papers. 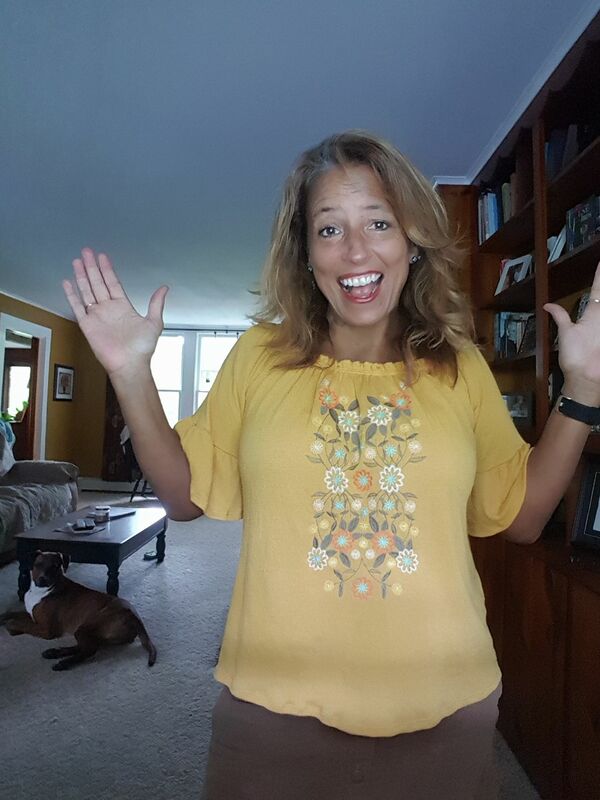 (that is the short version of the challenge to see the whole thing click here) So since I just did my last minute Blogger's challenge in the last post--and you know I didn't clean up after--I thought why not?! So here is round two of the color challenge. This shows both cards next to each other. Which do you like better? Here is the card on its own. 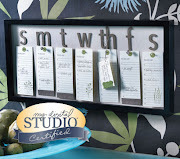 I embossed the silver frame from the Hodgepodge to make it match. 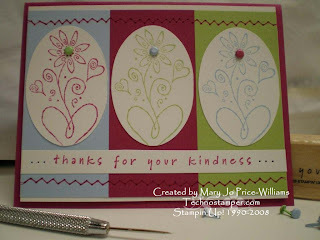 I also stamped the one flower in Apricot Appeal. 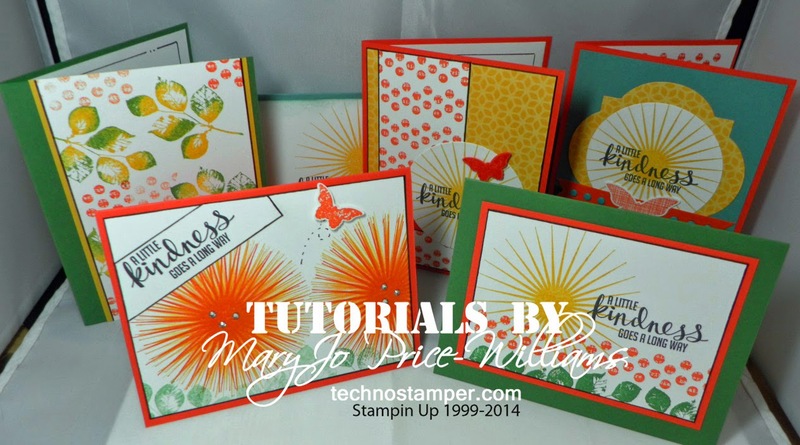 The only other addition is the one of a kind stamp from the designer label punch box set. I like it! Paper: Chocolate Chip, Soft Sky, Blue Bayou, Real Red and Whisper White. OK, I have to go and participate in our local Cross Walk-- our church reenacts the last days leading up to Jesus being crucified on the cross in our town! It is such a sight and a real reminder. I am very happy with the way this turned out! I went down to my studio to make a card with this week's Monday Lunchtime Sketch and a coffee theme and somehow this is what I made instead! Tee Hee funny how the creative mind works, lol. Anyway, I think this will be my Mother's Day card this year -- because she does mean everything to me! 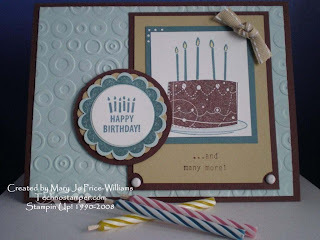 So the Blogger's Challenge this week was to use the colors Chocolate Chip, Soft Sky, Blue Bayou and Real Red . Don't forget to check out the other player's cards by clicking on the logo on the right hand side of my blog. They will inspire you for sure! Hope everyone has a blessed Good Friday -- and don't forget what happened just a short three days later -- Jesus is risen from the dead to give us life -- Thank you Jesus! So I think the consensus is that it looks harder than it is. There is still time for you try it. Here is the original post and here are the new players. Thanks ladies, both cards are beautiful! 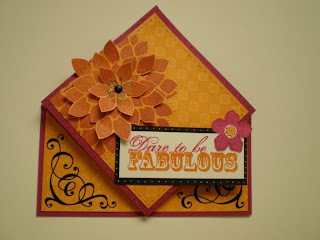 Don't go to far -- it's Friday and as soon as I finish my first cup of coffee I will be making my bloger's challenge card. I am ALWAYS so last minute. More Sketch Challenge #9 Cards! Melissa at What Do You (th)Ink? 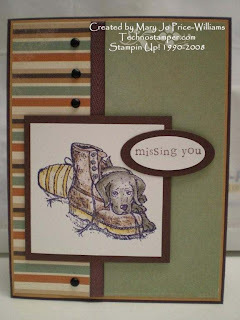 This card is for today's SC168 on Splitcoaststampers. I am pretty pleased with how it turned out, I had to flip the sketch upside down so my whale was facing into the card instead of off the card. Spotlight on adorable and another sketch challenge player! Isn't this dog just adorable? I love him and thought he matched up with the sentiments from Absolutely Fabulous set --- I am there for you. In good times and in bad. We can always count on our dogs to love us unconditionally, to be there to greet us when we come home, to play when WE want to play and just to be there for us for when we are in need of some lovin and cheerin. Unlike my cat who only comes around when SHE wants. That is why I have two dogs and only one cat, lol! This card showcases the spotlight technique. 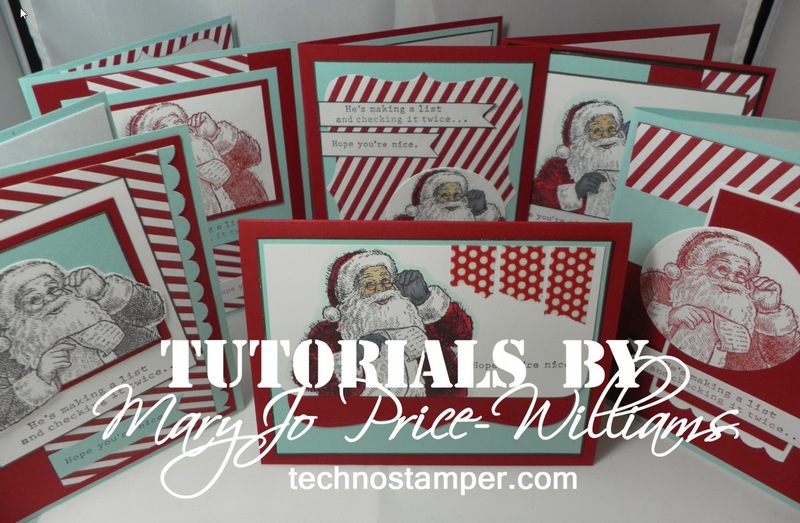 The is a great technique for fast cards since you can use really detailed images and only color in a small portion! I have a few other samples with this technique to share in the next few days. A little different version but still the same. Don't forget to share yours with us. Here is one more Monday Lunchtime Sketch Challenge card. One more for your viewing pleasure. I just heard....... there are more players for the sketch challenge. Isn't this card so pretty. I just love these colors together. Pomegranate, Pretty in Pink and Close to Cocoa. 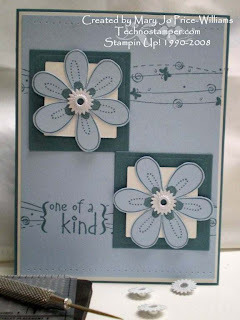 Stamp sets used: Fabulous Flowers, All in a Row and One of a Kind. The little flowers were punched out with the new BoHo Blossom punch. 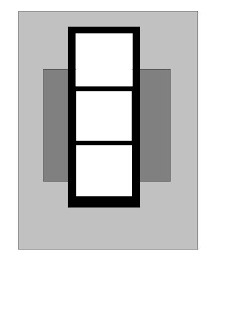 The large one is cut out and layered with dimensionals. Other supplies used: half pearl, word window punch, satin pomegranate ribbon and white gel pen. Now check out these two creations! Look already we have a few more brave stampers! These are great. Aren't they both beautiful! Thanks ladies. Now where is yours??? Well, after a full week off my son is back in school! I wonder how it will go? He has not stayed awake a whole day since last Sunday! I pray he don't get sick again due to all the kids that don't get kept home when they are sick -- it is just never ending. Anyway, it is sketch time. I have not made anything since last sketch -- I can't believe. I kept this one a bit simple but may try another one with this sketch tomorrow. Now the ideas are beginning to flow! The sketch looks pretty hard but it is not that bad. Here is my card. I did mine backwards. I started with two 2 3/4 inch squares that were cut in half and attached to the top and bottom and then went from there. My middle square is 2 1/4 inch square. I so wanted to add faux stitching to the triangles but chose not to make it too detailed. Paper: Afternoon Tea, Wild Wasabi and Groovy Guava textured card stock, base of card is whisper white. The finished size of the card is 9 by 4. Fast and easy! So, lets see who has the courage to join us! I can't wait to see what you come up with. And as always, don't forget to leave a comment here with the link so everyone can see. If uploading to Splitcoaststampers please use TSSC9 in the key words. Here's to a wonderful week full of lots of catching up! Say healthy. These cards are really nice too. Sorry for the one link that was not working. I fixed it on the original post but will repost here too. It is worth checking out. Great take on the sketch. Here are a few more for this weeks challenge. I so hope I did not miss anyone, I am so out of sorts. If I did please let me know and as always thanks so much for making my week and playing along. I can't wait to get my fingers covered in ink again, I must be feeling better because I am getting the "itch"! I can not play with you, my family has the flu, boo hoo hoo hoo hoo hoo, aint got no samples, cuz I've had no time to play, but I'll be back again to play some more to play some more! How many of you remember those hand clapping games we used to play as kids? We would play for hours and create our own versions, well here is my adult version. It is official (word from doctor) we have the flu! Yikes, no wonder we can not stay awake. My over active 8 year old son has not been out of bed in a FULL 5 days! Only to go to the bathroom and that is it. If you knew him you would not believe me, but it is true. But the good news is that we are all starting to feel a little bit better, I am even able to do a bit of surfing (on the lap top in bed) and I plan to check out all the samples for the bloggers challenge as well as catch up on the sketch challenge for the week. So I am off to check out both and post the new samples for this weeks sketch. Got to hurry before I run out of energy! I am gonna try to post the sketch challenge cards if I can. I am soooo sick that I can barely keep my head up. But I don't want to fall back to sleep right now because my son is throwing up and I need to be here for him. Our whole house is sick and it is a bad one. I have absolutely no energy at all so instead of wasting the little I have with this silly typing I will try to put the links in. Sorry nothing from me --haven't stepped foot in the studio since Monday! 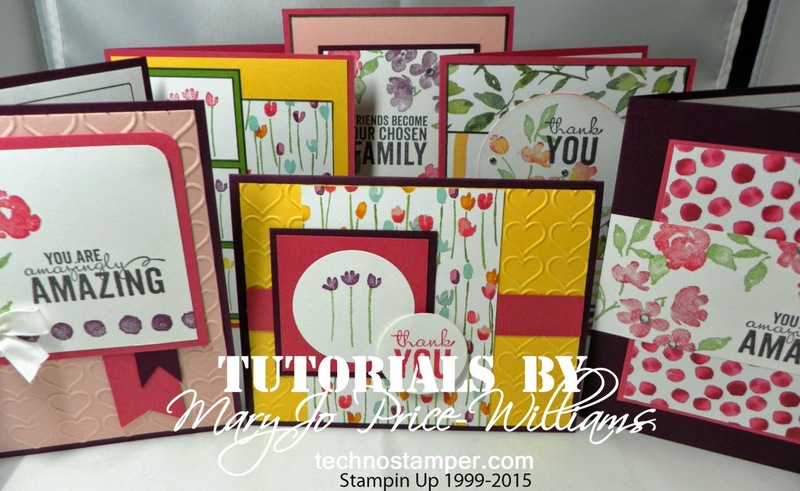 Amber at Ramblings of a Sassy Stamper! Ladies I can not possible post comments on you card right now, my head is gonna BLOW! Yikes this took all I have, if I get another spurt of energy later I may try again, lol. Your a Blast and a Monday Sketch card from Brenda. It is another Pun Fun card. It uses the embossed marker/chalk technique where you stamp the image--color it in and then go over the parts you want embossed with a Versa Marker and clear emboss. So the rocket is shinny in real life. This was such a fun card to make. 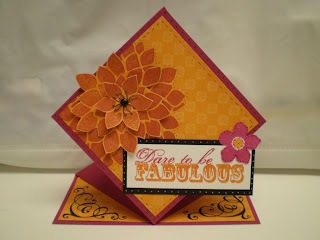 And new here is Brenda's Card too. Come on this one is soooo easy I expect a ton of people to play! Are you up to the challenge? Wow! Can you believe it has been eight weeks already! Time flies when you are having fun and I am having fun with these. It has been wonderful to see everyone's creations and as usual I thank you for participating. Hope you have fun with this one. I made two cards for todays sketch and kept them both quite simple actually. 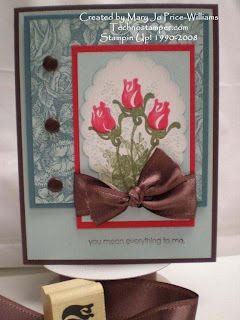 This one uses the new set in the Occasions mini catalog called For Father. Is that dog not the most precious thing you ever seen? The inside of this card says ALREADY, because I am giving it to someone who is moving away. 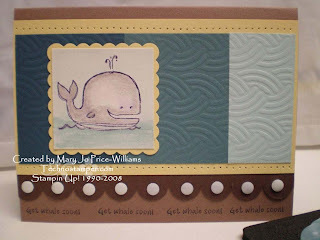 Other supplies used are: Chocolate Chip, Creamy Carmel and Whisper White card stock. Outlaw paper (retired), black brads, small and large oval punches, colored pencils and blender pen. Basic Black and Chocolate Chip ink. This next card is of course my favorite set -- Pun Fun!. This is just such a useful set. I have made quite a few cards with it and have not even come close to running out of ideas. 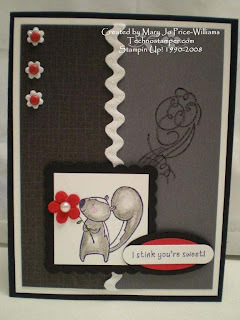 The base of this card is Basic Black followed by Whisper White, Basic Grey and then some dark Grey paper from Scrap in a Snap (yikes, that is a blast from the past). The "stink" is from the Bronc Buster set! I think it is so cute. I went over it with a clear gel pen to make it stand out more. The little flowers in the corner are pearly sequins with red brads in the middle. 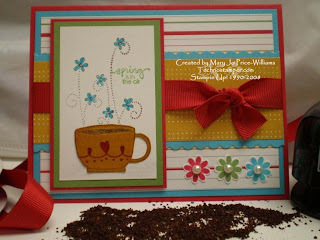 Other items used: Real Red card stock, small and large oval punches, word window punch, square scallop punch, ric rack ribbon, half pearl and Prima flower. And now on to the other participants for this weeks sketch. These guys rock! You will want to check out each and every one of their blogs to see what they have in store for you this week. As always I encourage you to play along. You can post it anywhere you want, you don't have to have a blog to play. If you post on Splitcoaststampers please use the keyword TSSC8. Don't forget to leave me a comment with the link so I can post it on here too. Can't wait to see what you come up with. And most importantly have fun. Here are a couple more for last weeks sketch and this week is due up in about an hour. I am loving this week's sketch so be sure to stop back and check it out. Only eight days left to earn these great sets for free! Sale-A-Bration ends on the 17 so get your $50 order in to me soon so you don't miss out! I love these colors together. 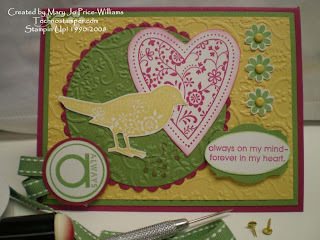 This card was done for today FS57 challenge on SCS. What a fun layout. I am so sorry that these sets will be retired so soon. 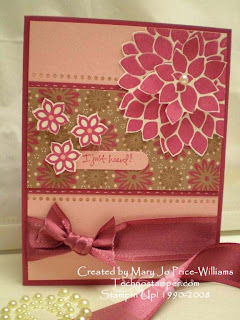 My inspiration for this card can be found here. When every I see a gnome image I always think of this saying. Guess because they are generally made of rock. Anyway, this was for a mystery image swap on one of my groups. Fun challenge, the hostess sent us all the same image and then we need to make a card with it and send it off to our partner. I have to admit I was a bit stumped with this. I was not sure where to go with it, you see I really have a difficult time with an image that I did not stamp! Weird, I have joined many image swaps over the years and they are all still sitting around in the envelops they came in. Every now and then I open them and looks and say "oh, I love that image"--but then I put it back in the envelope and move on, lol. Anyway, I look forward to doing more of these challenges. Here is my card. This little guys really is cute! I loved the layout but it sure seemed like the three strips needed something but I could not figure out what. I thought that stitching or piercing would be too much. But it still seems, well, plain. 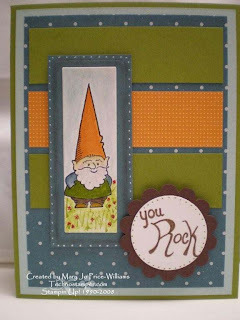 I have no idea who makes the gnome images and the words are done by hand. All other products are SU. Want to win some incredible blog candy and help children out at the same time? Check this out! I came upon this today and was so excited to be not only given the opportunity to help but check out those prizes too. Extra Extra..Hair all about it. You know I made my donation - what a worthy cause and wouldn't it be nice to win one of those awesome prizes. I am so impressed at the generosity of all of those companies. 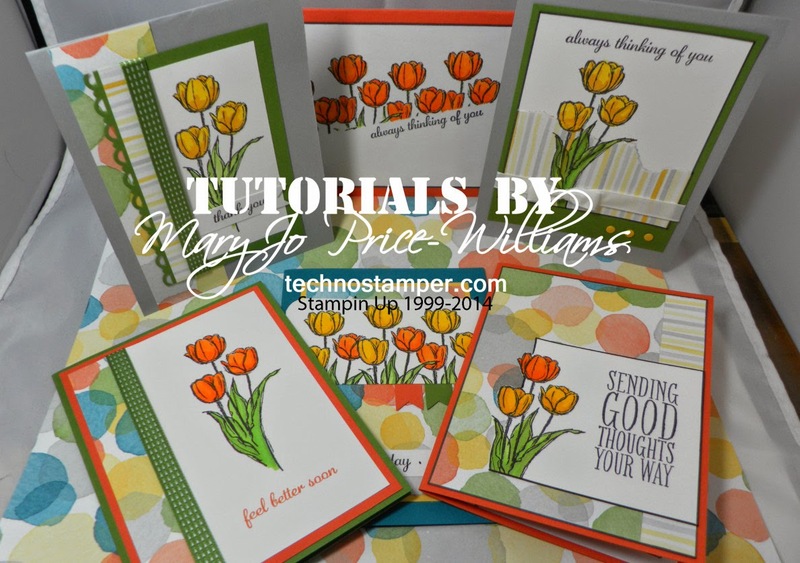 I was surfing around SUDSOL the other day and came upon this super easy template and thought it was just adorable so when this weeks Blogger's Challenge was to make a different shaped card I knew I was gonna try this one. I am really pleased with the results. 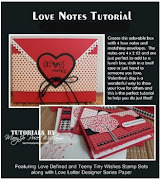 And the good news for all of you is that I normally would not be able to share the template because it is on SUDSOL (a demonstrator only site that you pay/earn) but after doing a google search of the person that shared on there I found that she had a blog and better yet she has a tutorial for the card there too! So thanks goes out to Jana Mays for the inspiration! Click here .....for the tutorial. And now for my versions of it. I want to try a few more of these because they really are fun. When the card is open it stands up by it self! But it folds down to fit into a regular sized envelope too! This is the card open. And here it is closed. 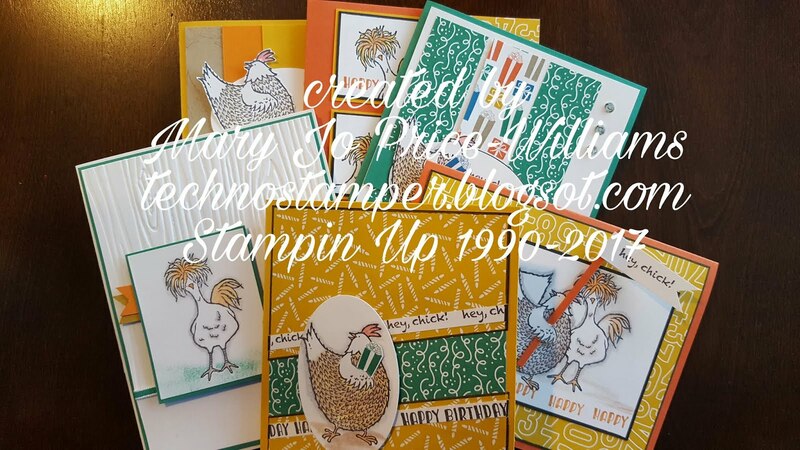 I am so glad that I pulled out this set to use, I fell in love with it when I seen many of you (Pat Huntoon comes to mind immediately) creating wonderful samples but then I only used it twice and it has been on the shelf. Other: Paper Piercer, brad, glitter, Cherished Memories rub-ons. 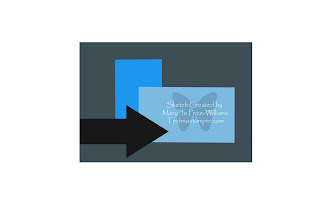 Don't forget to click on the logo on my side bar to see all of the other players and what they came up with -- should be a lot of wonderful creations so get your cup of coffee and relax as you are inspired! TGIF! Hope everyone has a great weekend. Merci and More Monday Lunchtime Sketch Challeng #7 cards. I really don't like this set but since in was free -- ya got to give it a try, right? This is my first attempt. I think one of the things I don't like about the samples I have seen with this is the way this stamp looks colored in????? I really have not seen too many samples so that don't mean much, lol. Hence the reason I have NOT colored this in. Thanks ladies! Are you gonna play this week? Here is the original post if you want to get the details. Wonderful cards ladies. Thanks for playing. I have wanted this set since the new catalog came out and I finally got it. I was actually mounting as I was using -- not that that is uncommon for me, lol. This was for todays CC156 challenge. The colors are Purely Pomegranate, Wild Wasabi and So Saffron. Great combo - give it a try. 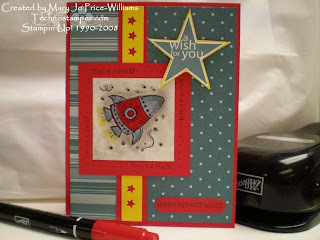 Here is Brenda's card for yesterday's sketch challenge. Where is yours??????? In case you missed the original post you can find it here. This was for the chat and challenge on SUDSOL. I only had 20 minutes from start to finish, you can kind of tell, lol. I do like the card tough. The mouse is holding the balloon from Birthday Whimsy set made to look like a big egg. The little chick is from Nursery Necessities and the words are from the Love and Happiness rub ons. Fun card. My card is a pretty simple one but I am pretty happy with it. 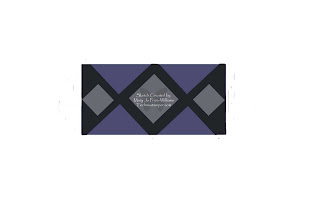 The colors are Blue Bayou and Bashful Blue along with Whisper White for accents. The one of a kind strip stamp is from Hero Arts. It is a great set with four different saying done in the same style. I thought it would be a fun way to bring in the strips that are on the sketch. the flower is from the SAB set Friendship Blooms which I was not going to get because it is "another flower" set but I am soooo glad I did, it is a great set--so fun. I cut and embossed the squares with my Nestibillites dies. The flowers are cut out and the white square and flower are popped up. I added a row of paper piercing on both the top and bottom. The burst eyelets have been in my stash for more than a year and have no packaging so I have no idea, sorry. As always I encourage you to play along. You can post it anywhere you want, you don't have to have a blog to play. If you post on Splitcoaststampers please use the keyword TSSC7. Don't forget to leave me a comment with the link so I can post it on here too. Can't wait to see what you come up with. And most importantly have fun. Last few for sketch number 6. New sketch is due in 2 1/2 hours, get ready! Thanks again to everyone who played this week! Great samples for us to google over. Here are a couple more for this weeks sketch. Both are wonderful! Thanks for playing ladies. How brilliant is this? 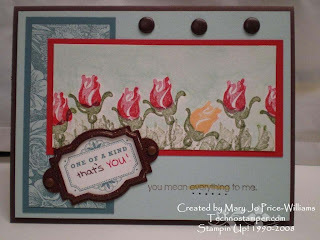 The flowers are from the Simply Said Set and they are being used like steam from the coffee cup in the Pun Fun set! Too cute. This card is actually created for the Featured Stampers challenge on SCS. Here is the card that inspired me. I loved her idea with the flowers coming up from the cup. The only other thing I kept from her card was the strip in the middle with the scallop border. I love how this turned out. The colors are super! I used the East Coast Prep designer papers and the coordinating colors of card stock -- Tempting Turquoise, More Mustard, Wild Wasabi and Real Red. The coffee cup has been clear embossed to make it look more like a real cup. And the half pearls are added to the flowers on the bottom that have been cut with the BoHo Blossoms flower punch. I finished it all off with the wide Real Red grosgrain ribbon.